Bringing jobs back to Western New York, specifically Buffalo, is a major priority for New York Governor Andrew Cuomo. He’s committed a billion dollars to make the area a hub for advanced manufacturing and renewable energy. His plan, known as the Buffalo Billion initiative, is one of the largest, and some say most ambitious, economic development plans ever undertaken by the state. The cornerstone of the plan calls for transforming an enormous brownfield. The land, which had potential contamination left over from decades of manufacturing at an old and long abandoned plant, is being transformed into a 1.2 million square foot solar factory. Once complete, the facility will be the largest solar plant in North America. One company working on the project is Quackenbush Company, a general mechanical contractor that installs heating, ventilation, and air conditioning systems, along with industrial process piping. In business since 1932, the company has seen a lot in that time undertaking jobs at power and water treatment plants, industrial facilities, commercial buildings, hospitals and schools, food processing facilities, and more. Quakenbush has its own prefabrication facilities which it has traditionally used to assist its mechanical system installations and fabricate packaged skid mounted assemblies. 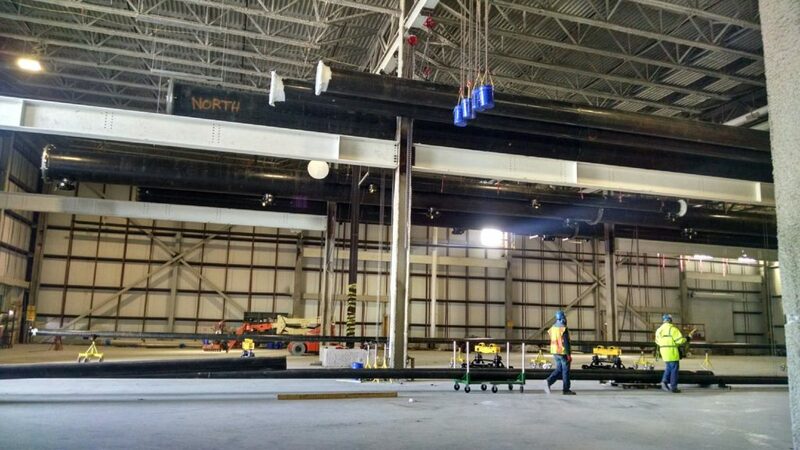 More recently though, the company has reduced the amount of skid work it does to focus on prefabrication of components for its field projects. The end result is better quality, more efficient use of its craftspeople, and the ability to adhere to project schedules. 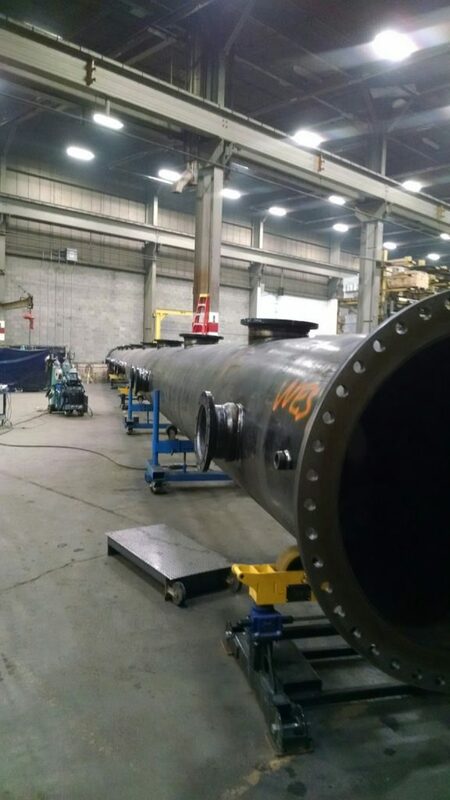 Originally the team at Quackenbush was thinking it would need to use oxyfuel to cut the pipe and plate needed for its projects, but after reaching out to a trusted contact at Haun Welding Supply, a supplier servicing Upstate New York, Vermont, and Northern Pennsylvania, the team decided to go with Hypertherm plasma. “We like that Hypertherm only makes cutting equipment,” says Nate Barnard, the shop general foreman. 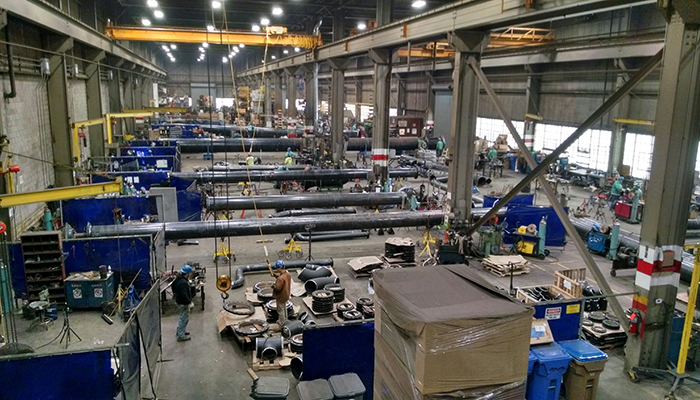 The company began by purchasing a Powermax1650® which it used on a pipe rolling table. The company was so impressed it immediately purchased a second Powermax1650. When the River Bend project came through about a year ago, Quackenbush knew it needed to increase capacity so it once again turned to Haun Welding Supply, which this time recommended three Powermax105® systems. In addition, the company owns two Powermax30® AIR systems which it uses to cut stainless steel. The Powermax30 AIR comes with a built-in air compressor making it ideal for use in the field. “We love it because you don’t need plant air so we can easily take it up on a lift,” Barnard says. He adds that Quackenbush is really happy with the Hypertherm systems it is now using. “By using the Powermax systems we are doing the work in-house versus subcontracting, saving time and dollars. This is especially important with today’s fast paced and tight timeframe construction schedules dictated by our customers.” Barnard sums up his feelings about his Hypertherm plasma systems in one word: Amazing. Hypertherm’s commitment to engineering and building the best industrial cutting solutions on the market dates back nearly 50 years. From humble beginnings in a two-car garage to becoming a world-class manufacturer of advanced cutting solutions, our story has been one of innovation, hard work, and customer focus. Michelle Avila is the Public Relations Manager at Hypertherm Inc.